It’s way too early to pass judgement on General Motors return to the stock market, but that isn’t stopping analysts, politicians and others from having their say. Here’s a sampling of what’s being said, including a video from the White House blog. So far, most of the chatter has been positive, but what will the experts be saying a year from now? 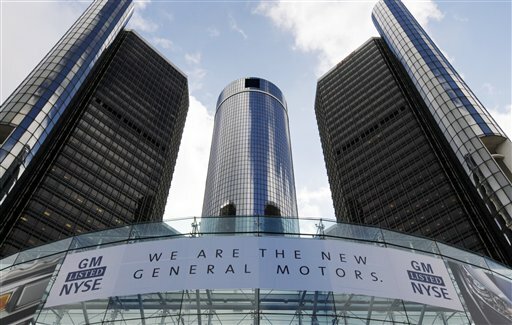 Photo: (AP Photo/Paul Sancya, file) In this file photo taken Thursday, Nov. 18, 2010, General Motors headquarters are shown in Detroit. Shares of the reborn General Motors lost momentum in early trading Friday, Nov. 19. This entry was posted in Automobile industry and tagged Barron's, General Motors, Jim Cramer, MarketBeat, MarketWatch, SmartMoney, White House on November 19, 2010 by Roger Harris. A story in today’s Chattanooga Times Free Press says Volkswagen will encourage all suppliers for its new Chattanooga plant to locate within 30 miles of the soon-to-open factory. 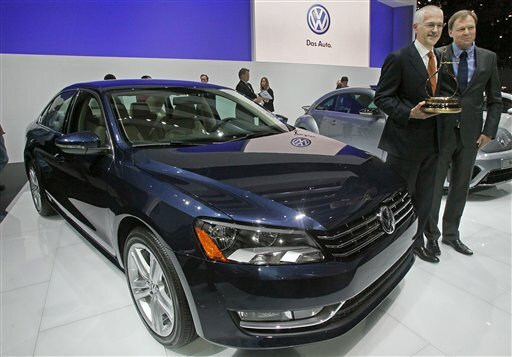 trouble for Knoxville-area economic development officials’ effort to recruit VW suppliers. But Knoxville Chamber officials say they aren’t worried. This entry was posted in Automobile industry and tagged automotive suppliers, Chattanooga, Economic Development, Knoxville Chamber, Tier 1, Tier 2, Times Free Press, Volkswagen on August 26, 2010 by Roger Harris. Is your car on the theft list? Cadillac owners beware. The Escalade SUV is once again the car most likely to be stolen, according to the Highway Loss Data Institute, part of the Arlington, Va.-based Insurance Institute for Highway Safety. “Theft rates for these vehicles are 3 to 5 times as high as the average for all vehicles,” HLDI reported. Cars most likely NOT to be stolen: Volvo S80, Nissan Murano, Saturn Vue, Honda Pilot and Subaru Impreza. Highway Loss Data Institute press release. This entry was posted in Automobile industry and tagged Cadillac Escalade, car thieves, Chevrolet Corvette, Dodge Charger, F-250, Highway Loss Data Institute, Infiniti on August 3, 2010 by Roger Harris. Volkswagen’s new plant nearing completion in Chattanooga is the subject of a favorable report on Forbes.com. “The German carmaker is halfway through building one of the world’s cleanest automobile plants,” says the story by Jim Motavalli. Read full VW story here. Not so favorable, is the accompanying report on the Leaf, Nissan’s new electric car being built in Rutherford County, Tennessee. “Turns out it might not be so green for its bottom line,” writes Josh Wolfe. Photo: Angela Lewis/ Chattanooga Times Free Press. This entry was posted in Automobile industry and tagged Chattanooga, electric, Lead, Nissan, Volkswagen on June 29, 2010 by Roger Harris.